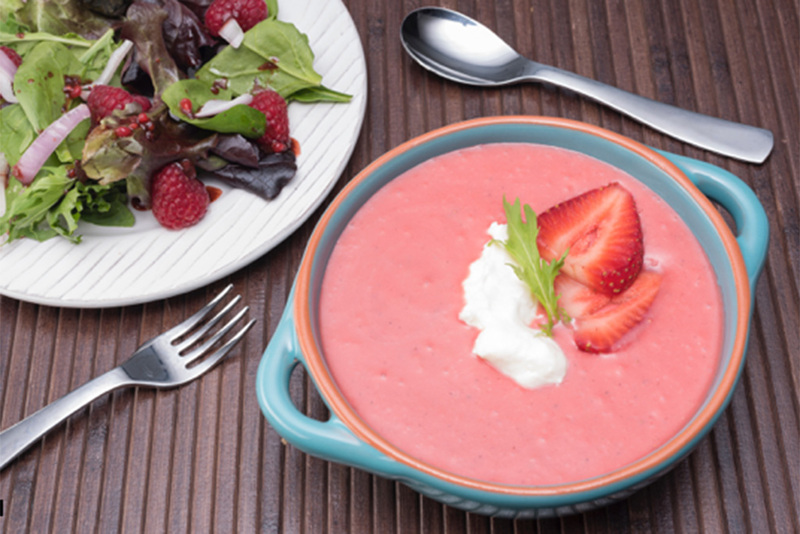 Blend strawberries, honey, mint, lemon juice, cardamom powder, and , 1 tablespoon of the crème fraiche in a food processor until smooth. Transfer to large bowl and refrigerate for two hours. 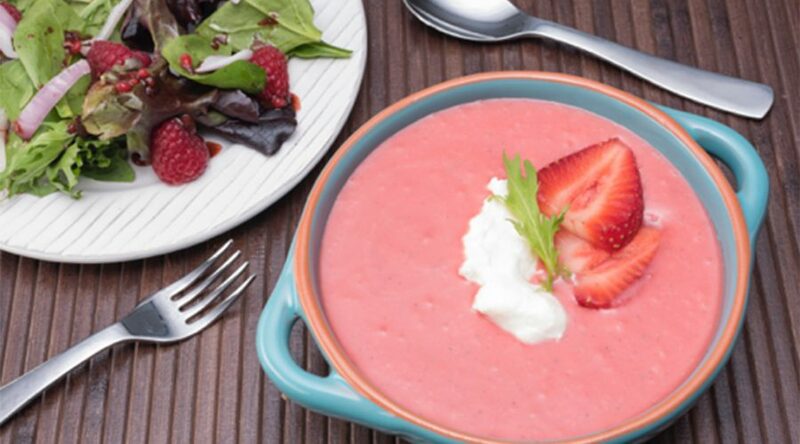 Pour soup into individual bowls and top each serving with a dollop of crème fraiche.